Cake pops come in two variations. Tiny balls of cake baked in a special maker, or the ones we have here made from cooled cake crumbed and mixed up with a bunch of goodies. For these I baked a cake in a 9*13 pan and after it cooled I crumbled it up. 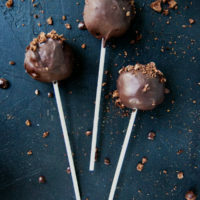 Half was turned into these Kahlua Cake Pops and the other half became a semi-fail for my other site Chicken Scratch NY. By semi-fail I mean they were edible but not what I was going for. You can use any chocolate cake mix you have on hand, I used a Devil’s Food Cake Mix from Aldi’s. I also doctored it up a bit, it’s not that hard to take a boxed cake mix up a notch or two! I used 4 eggs instead of three and whisked two tablespoons of instant coffee into the dry mix. The extra egg makes it richer and the coffee really brings out the chocolate flavor. We’re going to be adding extra liquid so I just-ever-so-slightly over baked the cake. Not to the point of being burnt but just a little dryer than you’d want to eat regularly. After the cake comes out of the oven set it on a rack to cook. Half of a full cake will make about 15 pops. You can wrap the other half in plastic wrap and store the cake in the freezer for a later date if you don’t need quite so many cake balls. Crumbling cake is actually pretty relaxing. I found rubbing it between my palms in a sort of circular motion worked the best. You’ll get a few larger pieces but iy should be mostly uniformly crumbled. The first hint of fancy flavor comes from dark chocolate covered espresso beans. 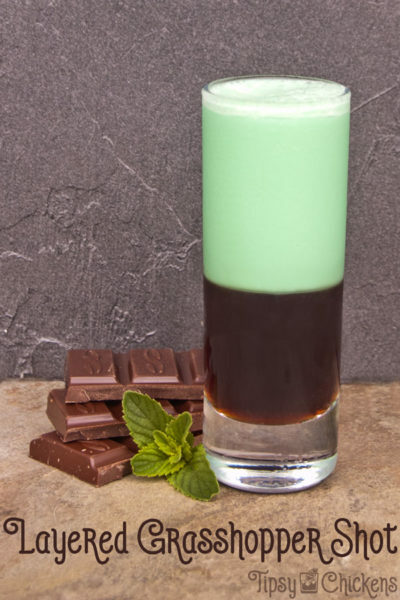 You can use whatever variation of coffee been dipped in chocolate you happen to come across. To crust them up you can get violent with a mallet or slowly crush them up with the bottom of a metal measuring cup or any sturdy kitchen item. I measured the candy before hand, it’s going to melt as soon as you look at it once it’s crushed so try to handle it as little as possible after you murder it. This isn’t the kind of recipe where you need exact measurements, ballparking is your friend. Dump the crushed candy into the cake crumbles and give it a stir. 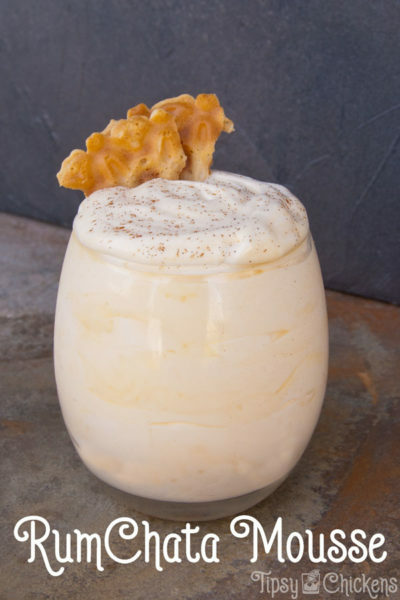 Pour in the Kahlua and stir it up until it looks pretty uniform. You don’t want one person getting the whole 1/4 cup of coffee liqueur and the next person getting none. The final step is adding the frosting. I measured out 1/2 a cup but you can just eyeball about 1/2 a tub. Mix it up, it’s going to be pretty pasty. Toss it in the fridge for a 1/2 hour or so to make it easier to handle. You can skip that step and stick to your hands but it’s not like licking Kahlua and chocolate off you hands is the worst thing ever. While they’re chilling line a cookie sheet or plate with parchment paper. After they’re chilled a bit scoop out some dough and roll it into a ball and set on the cookie sheet. When everything is rolled into balls get out a a few candy melts. Melt them in the ol’ microwave, dip a lollipop stick in the melted candy and then jam it in the cake ball. This may seem annoying but it really helps keep the cake pops on the stick. 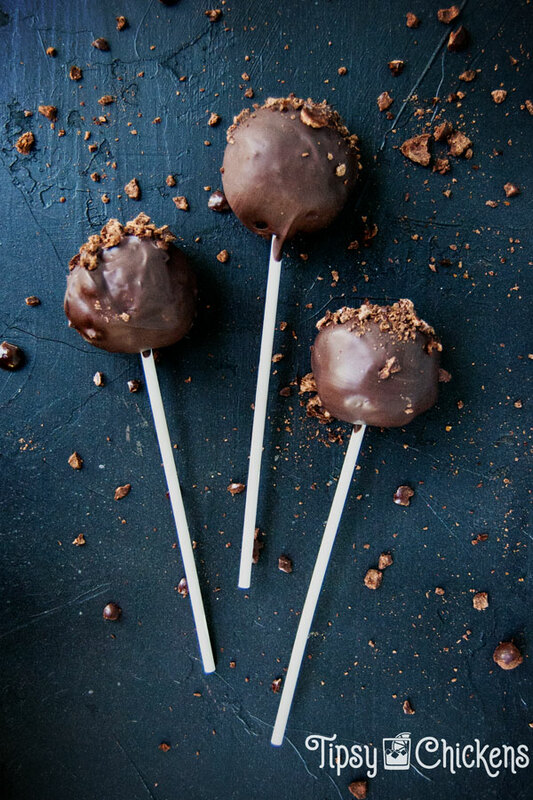 You can skip the stick nonsense and make cake balls instead, I won’t judge. Anyway, repeat the stick dipping and then toss the whole mess back in the fridge. I was done with cooking at this point so I ended up doing the coating the next day. Before you start dipping make sure you have something to hold the pops while they dry. A large 2 inch thick chink of Styrofoam would be amazing.Of course I wasn’t prepared so I ended up using an Amazon box (Prime day got me..) that I stabbed slits into with a paring knife. Melt the chocolate wafers in a coffee mug. Try to find something only about an inch or so wider than the cake pop or you’ll end up with a ton of extra chocolate at the end. When the wafers are melted and smooth dip the pop into the chocolate until it’s covered. Lift straight up and lightly shake to get the extra off. Then dip the top into a pile of crushed chocolate covered coffee beans. Stick them into the Styrofoam or the box and let them harden. In the end you’ll have a very dense, boozy chocolate coffee dessert. The Kahlua isn’t over powering but it’s definitely there! Melt a cup full of candy wafers, stir until completely smooth. 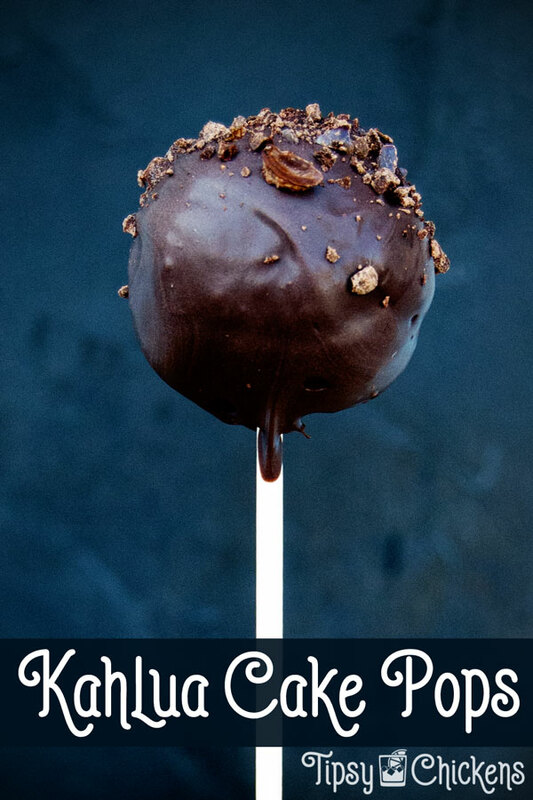 Dip each cake pop into the melted chocolate candy and lift straight up. Lightly shake to get the extra off.